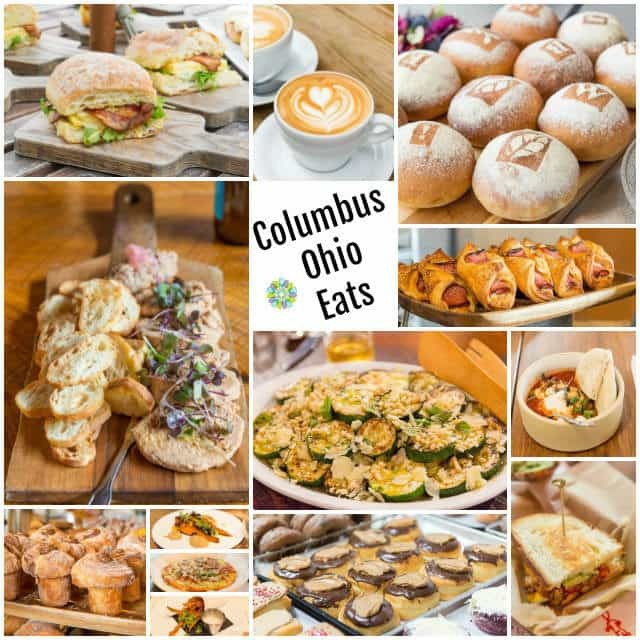 If you love food and haven’t been to Columbus, OH yet, epic food experiences await you in this vibrant and delicious Midwestern city. Trust me, you’ll want to put it on your travel list by the end of this post. When it comes to a good food scene, I’ve got some pretty high (read: snobby) standards after living in NYC for several years. I had some of the best and most innovative food in the world right outside my apartment, and I took serious advantage every single day I was there. When Pete and I moved out of NYC a few months ago (because of James), we knew we were going to miss the food the most, and we came to the conclusion that we wouldn’t be able to get that variety and level of food without living in a really big city. Now I know: actually we can. Growing up in California, Ohio wasn’t a state that ever came across my radar. I didn’t have any family or friends from there, and I didn’t know anything about it. It wasn’t until my post-college years when one of my closest friends moved to the city, and I visited her for the first time. My friend Jess took me to all her favorite spots, and I remember eating all day, every day and still being persuaded into capping each night off with Jeni’s ice cream because well, IT’S JENI’S ICE CREAM (if you’ve had some, you know what I’m talking about). Despite the fact that our pants didn’t button by the end of the day, we always decided it was reasonable because we’d walk. I left very impressed with Columbus from that first visit, and I visited a few more times over the years. There’s just something about the city that I love. Walking around the city, it feels clean, energetic but not overwhelming, and there are such interesting shops, sights, and places to eat. 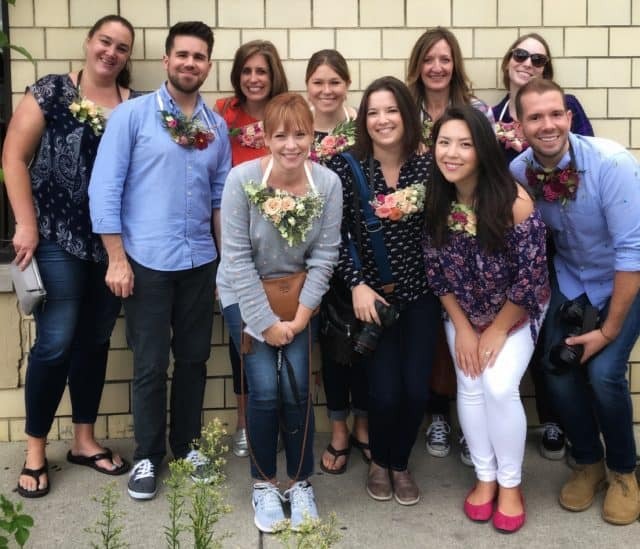 Last month I went back for a food press trip hosted by Experience Columbus with some of my blogging friends, and truly got to experience the food magic that is happening in Columbus right now. I would totally be lying if I said that I haven’t thought about what it’d be like to move to Columbus…and had that thought several times. Let me take you on a virtual tour of our trip! Our first stop for the retreat was The Kitchen, which hosts participatory dining experiences. What does “participatory dining experience” mean? You cook dinner with your friends in a very relaxed atmosphere, then sit down to enjoy the meal you created together, all without having to do any of the dishes (what a dream). The team takes care of planning out all the recipes, and there’s staff at every station who tells you how to prep the ingredients. All the while, you get to take as many cheese, wine, or cocktail breaks as you’d like, yet progress is still being made because someone’s still cooking dinner. Can we all make dinner like this every day? Before going here, I wasn’t sure how I felt about “cooking dinner” after traveling to Columbus, but it was relaxed, and a really neat bonding experience. It didn’t feel like “work” and I felt like I got to experience all the joy of cooking. 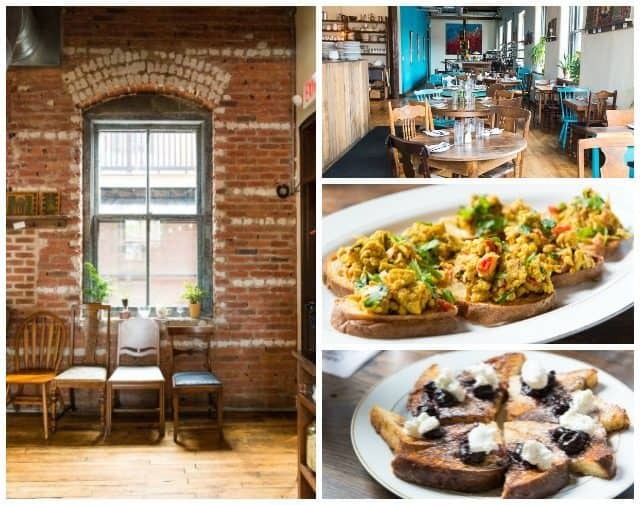 The space is warm and beautiful, with lots of character, and they host everything from weddings to work events to a drop-in Taco Tuesday. I loved this place. The next morning we met up with Nick, aka Mr. Breakfast, a local blogger and author who runs several different kinds of food tours in Columbus. I’m so glad we got to meet with him, because he not only took us to a variety of places, but also sprinkled in a bunch of fun facts about Columbus as a city. We got to know the town better in two ways! 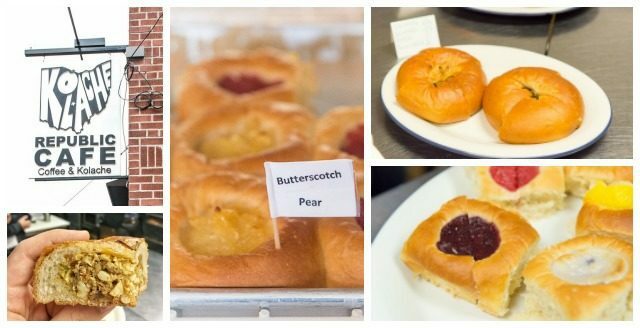 Our first stop on the Breakfast with Nick tour was Kolache Republic. Kolaches are a traditional Czech pastry that I had never heard of or tasted until my trip. It reminds me of a fluffy brioche doughnut, and they had both sweet and savory fillings to choose from. My favorites were the Butterscotch Pear for sweet, and the Sausage Egg & Cheese for savory. Located in the German Village, it’s a great neighborhood to walk around after enjoying a kolache. Fox in the Snow reminds me of a place you’d find in Brooklyn with a total cult following, which is funny because the owners actually lived and worked in Brooklyn before deciding to move to Columbus. This place is apparently always packed, and for good reason. They make a fantastic cinnamon roll, and THE best breakfast sandwich I’ve ever had. (And I didn’t even know I could be excited about a breakfast sandwich). Their egg “patty” was like a cut square of egg souffle, so soft and light and silky, and not rubbery in the very least. I need to figure out how to remake it. The atmosphere is also lovely, with a very green and modern interior, and a patio in the back. Love this place! And apparently so does everyone in Columbus. They make a fantastic shakshuka and I spied some really interesting baked goods in their pastry case. I mean, Basil Blackberry Scone? I love unusual flavor combinations like that. From fine Italian wines to bottled and draft craft beers, specialty grocery items, a butcher counter, and more, I really liked this stop. This was one of my favorite stops on the tour, and it’s not just because there were donuts involved. I’ve got a soft spot for places with character and history, and Buckeye Donuts has both. They’ve been open since 1969. No seriously, they’re open 24/7. The owner says he doesn’t even know where the key is. Donuts are always being made, and people are always there! 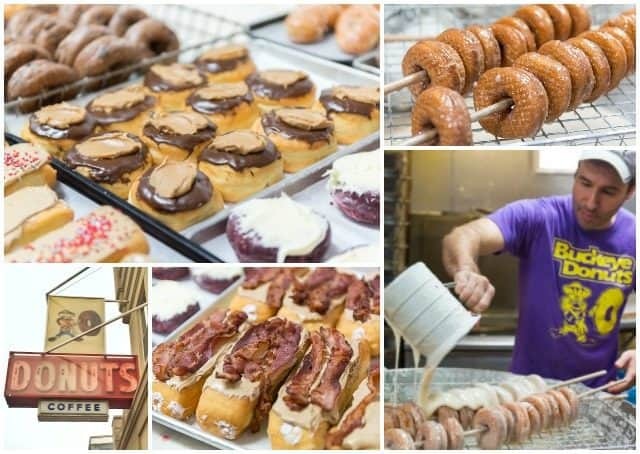 Located near the university, it’s a great stop for your favorite donut, as they had pretty much every flavor I could imagine, including a must-have Buckeye donut (chocolate and peanut butter). By the time we arrived to The Table, we were pretty full, so it impressed me that I couldn’t help but finish every bite I had at the restaurant. We had Akoori Indian Scrambled Eggs (which I will be recreating very soon) and a Sour Cherry French Toast that was to die for. The French Toast somehow managed to be eggy and fluffy in the middle, but crisp and light on the edges. 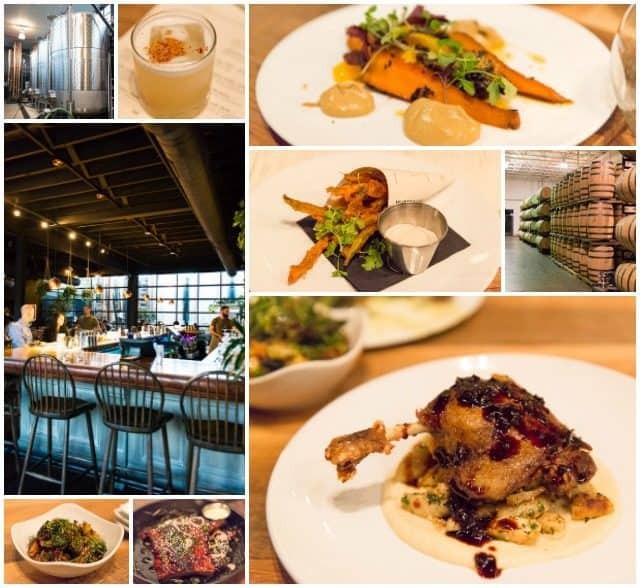 The menu features as much local food as possible and focuses on seasonal cuisine. When I think back on this meal, I think flavorful, fresh, and high-caliber food, in a beautifully rustic space. Next we headed outside of Columbus to Rockmill Brewery, located on a historic horse farm about 25 minutes outside of Columbus. The setting was absolutely beautiful, peaceful, and green, and even though beer is not my drink of choice (cocktail gal right here), the beer was actually really good. The chef prepared cheeses, chocolates, charcuterie, and other delicious foods to pair with the beer, and it was fun to discover that foods can be paired with beer just as much as they can be paired with wine. If you visit, be sure to walk around the property a bit (beer in hand), and check out the chapel and the river. It’s so serene! For dinner on Day 2, we went to Watershed Kitchen, and what was funny about this dinner is it pretty much turned into a gigantic family style meal because everyone wanted to taste everything. You know when you look at a menu and have the hardest time picking what to have, because you want to try everything? Yes, that. That happened here. Before dinner, we had a fascinating tour of their distillery, and got to taste each of their spirits: vodka, four peel gin, bourbon barrel gin, bourbon, old fashioned, and nocino. The nocino, an extremely rare black walnut liqueur, was my favorite of the bunch. My particular food recommendations are the brussel sprouts, fried chicken, properly cooked carrots, and baby back ribs. They also have a huge cocktail list which made me very happy. 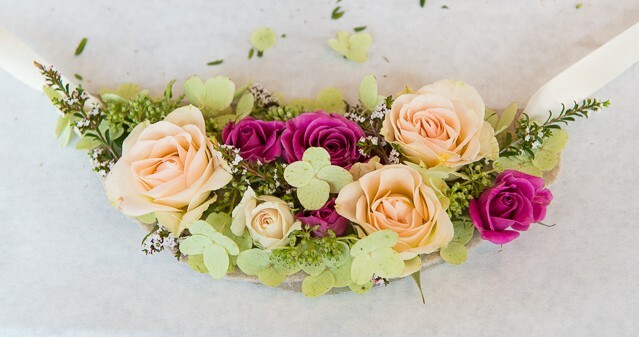 Flowers, bread, and a cafe, all under one roof. Genius. 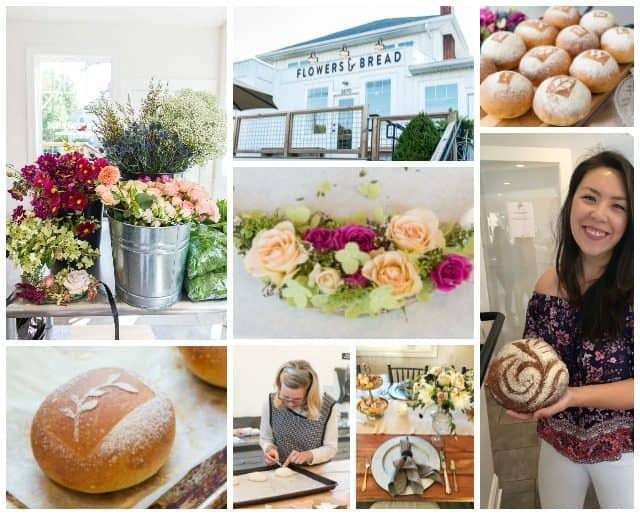 On the morning of Day 3, we went to Flowers & Bread to first fill our bellies with a prepared breakfast with some of their delicious house baked goods, then headed into the bread kitchen for a stenciling and scoring class with Sarah Black, author of One Dough Ten Breads. I had never stenciled bread before and had no idea it was so easy. It’s such a fun craft and makes your bread look that much more special! Then we headed into the flower studio to make our own flower necklaces. I hadn’t done a truly crafty/creative activity like this in YEARS and it was nice to hang out with friends, chat, and create something beautiful. 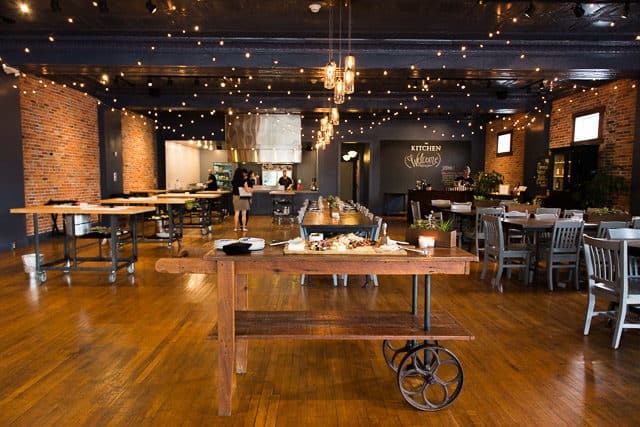 What a great place to go with a few girlfriends, or to host a bridal shower! I’ve been to the North Market many times over the years, and it never ever disappoints. If you go to the North Market, arrive with an empty stomach, and share some bites from different stalls with your companions. Because trust me, you’ll want to try everything. Hot Chicken Takeover – Nashville Hot Chicken in Columbus, with the right accompaniments on the menu to go with. I really like the cole slaw (not heavy at all), the banana pudding, and on a separate visit I enjoyed the waffle too. Brēzel – Hand-rolled Bavarian-style pretzels with some really unique flavor combinations. 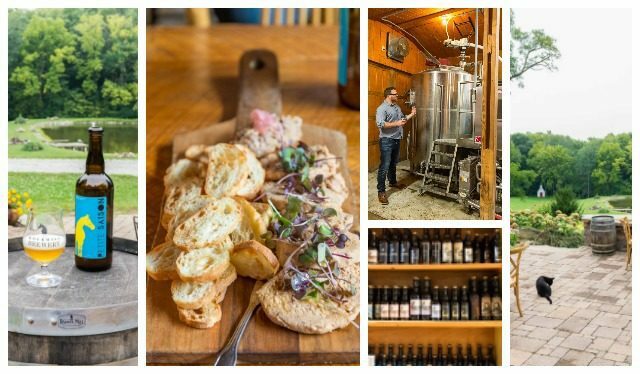 The Barrel & Bottle and Black Radish Creamery – Cheese and beer always means good things. 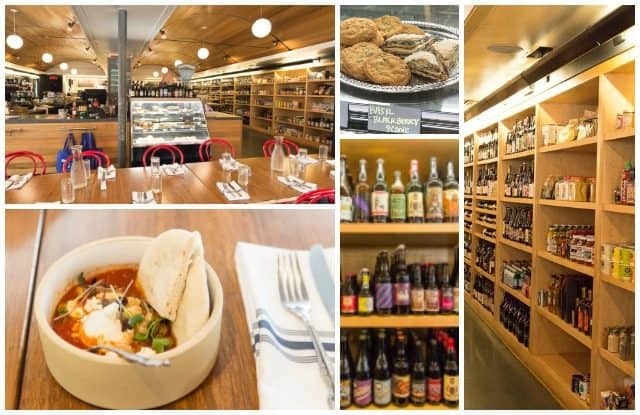 I still have a lot to learn about pairing food and drink, and I appreciated the staff’s expertise on how to best enjoy the different types of cheeses and beers. Little Eater – An eatery celebrating vegetables as the star, there’s a counter where you can get prepared food, plus a separate produce and grocery section where you can get high quality ingredients and food items. Little Eater was founded by Chef Cara Mangini, author of The Vegetable Butcher, and it was fun to hear about her passion for celebrating farmers and the produce they grow. Pistacia Vera – This was my kind of place, with a variety of fresh macarons, palmiers, and unique desserts like Key Lime Eclairs. 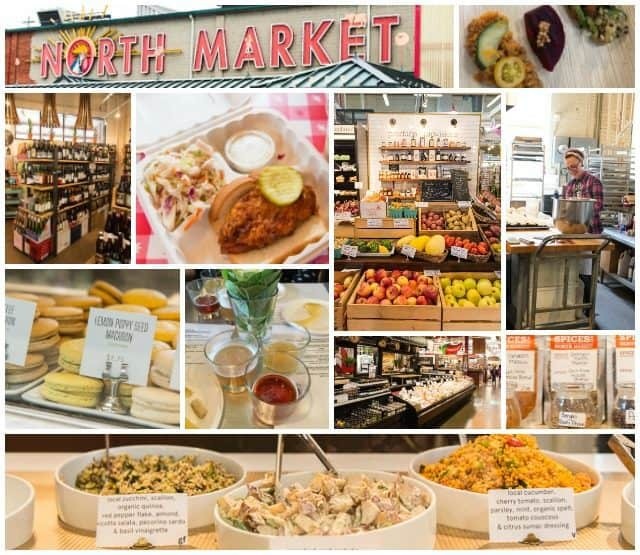 North Market Spices – I often forget what a convenient and delicious staple spices can be in cooking, and this place had every spice blend you could ever want, plus other ingredients like extracts, sugars, and rubs. They gave us a Sazon spice packet to take home, and it is now all gone. It was sensational rubbed over pork shoulder. Destination Donuts – Get the butterscotch & sea salt donut. Hubert’s Polish Kitchen – I forgot what it was called, but there’s some sort of meat ball stuffed with cheese that was really good. 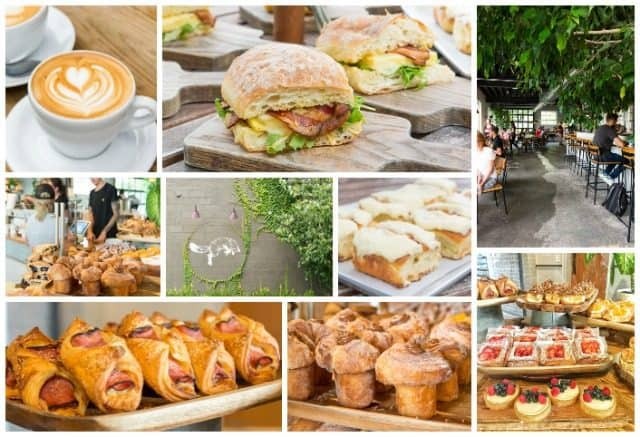 Omega Artisan Baking – High quality baked goods, try the omega cake! Jeni’s Splendid Ice Cream – If you don’t have time to go to one of her scoop shops, they have a stall at the North Market. 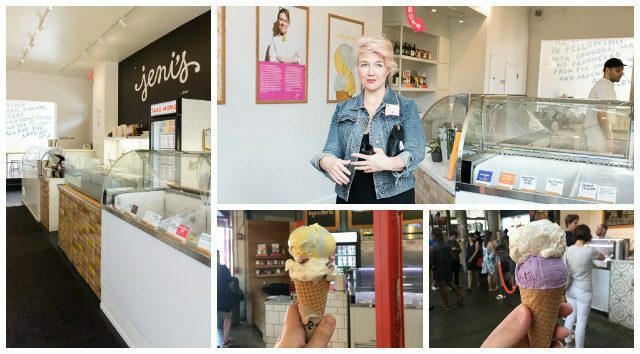 Of all the places I’m sharing here, Jeni’s Splendid Ice Cream probably doesn’t need any explanation, since it has become one of the most loved ice creams across the nation. There are now Jeni’s scoop shops in Cleveland, Nashville, Chicago, Atlanta, Charleston, LA, St Louis, DC, and of course Columbus, but Columbus was where it all started for Jeni Britton Bauer, in 2002. I’ve decided it’s impossible to go wrong when picking a flavor at Jeni’s, but the Cream Puff is AMAZING and I also love the wildberry lavender. Okay and a few more favorites: Goat Cheese and Red Cherry, Brambleberry Crisp, and Orange Blossom Buttermilk. I’ve always admired Jeni for her passion (and obsession, I mean that in a good way) for creating really unique, fragrant, and flavorful ice creams. She is still rocking it. I girl crush so hard. 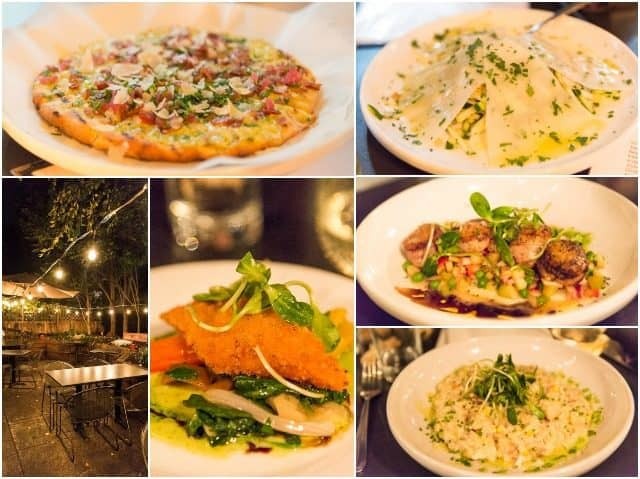 I’ve never thought of Italian food as my go-to for dining out, but that would totally change if I lived near Basi Italia. I loved everything about this place, from the food, to the atmosphere, to the hospitality. The owner was so genial and passionate about our experience at the restaurant, I think all of us really felt like guests, and from chatting with locals, that seems to be the norm here. The flatbread we started with was one of the best things I’ve ever eaten. I couldn’t stop eating it! 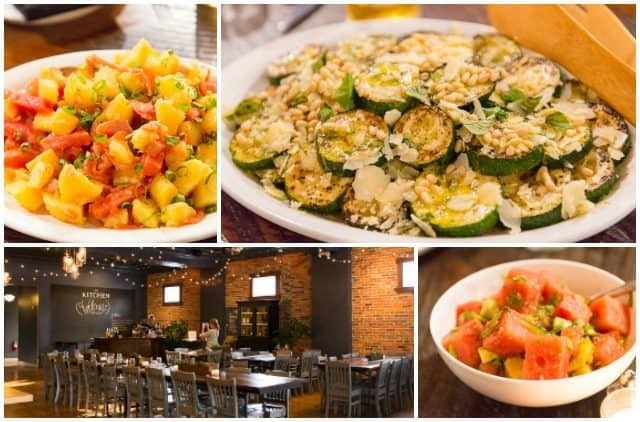 Their Zucchini Pronto dish is also a standout, and features matchstick cut zucchini in a really light and fresh way, blanketed with wide shavings of pecorino cheese. I will be recreating this at home for sure. For my entree I got the fantastic crab risotto, and had bites of many other dishes that were cooked perfectly and flavored with fresh ingredients. I recommend the scallops, short ribs, shrimp pomodoro, and golden trout. 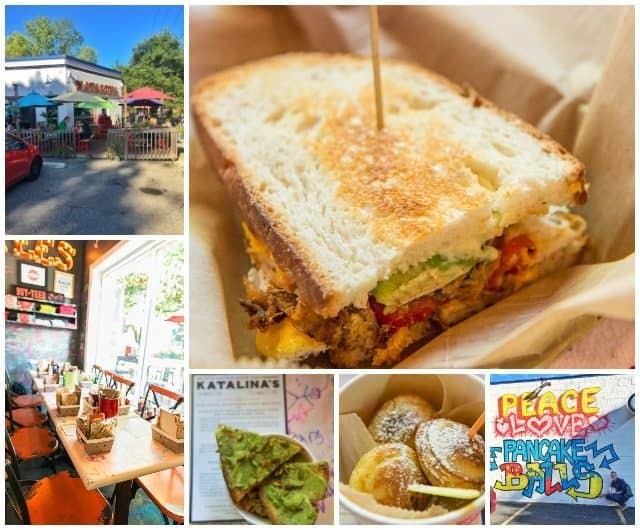 Funky and wildly delicious, Katalina’s has a fun atmosphere plus uniquely delicious food, with a customer base who knows how good this place is. Despite my total food coma from the previous three days, I couldn’t help but finish everything they served me. My recommendations: the Shagbark Black Bean Soup which had heartiness but wasn’t too thick, the Mazatlan Slow-Roasted Pork & Egg (OMG I finished it all), and their pancake balls, which are filled with apple butter, nutella, and dulce de leche. Before you go, don’t forget to sign your name on the wall! I’ll be back for you, Columbus! My foodie partners in crime from left to right, adorned in flower necklaces (hehe): Glory, Phillip, Erin, Allie, Laura, Lindsay, Brenda, me, Jennifer, and Michael. Thank you to Experience Columbus for having us and to all the wonderful local restaurants and merchants of Columbus. If you missed it, here’s my review of the glorious hotel we stayed at, Hotel Leveque. Happy travels, and if you have any further questions about Columbus, comment below. xo! Disclosure: I was not compensated to write this post. I paid for my flight to Columbus, while the hotel and food were complimentary. All opinions are my own! I live in Columbus and it’s always like watching someone open an unexpected gift to see them experience our city. I’m glad you enjoyed it and appreciate you sharing the joy with your followers! Hi Lyz, you live in a great town!! I really loved it. Thanks for your comment. These photos are amazing! I am putting Ohio on my bucket list! Thanks Paula! It really is an incredible place.